The man shot and killed by San Jose police officers on Tuesday evening at the Metcalf Energy Center had a lengthy rapsheet and was armed with two axes, a sword and throwing knives, according to Chief Eddie Garcia. 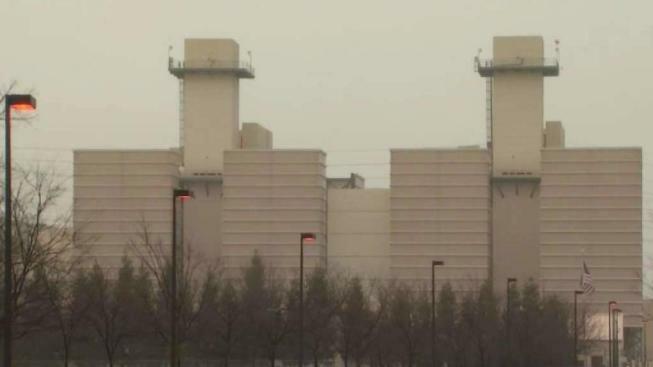 An employee at the South San Jose power plant called 911 just after 5 p.m. to report a suspicious man in a black Mercedes Benz at the facility's front gate, who had "pulled something of the trunk" of the car, Garcia said. The man was in his 20s, 5 feet 6 inches tall, weighed about 145 pounds, and was wearing a black jacket, a white shirt and black pants, according to police. Upon running the license plate number, which was provided by the Metcalf employee, officers realized that the Santa Cruz County Sheriff's Department had described the Mercedes as an "armed and dangerous vehicle," Garcia said. San Jose police officers on Tuesday shot and killed a man, who was armed with an ax, near the Metcalf Energy Center, law enforcement sources told NBC Bay Area. Bob Redell reports. By then, the man, who police believe jumped a fence, gained access to the facility at 1 Blanchard Road. It's unclear, however, why he went there. The Metcalf employee called 911 again to say that the suspect was carrying a backpack, a pipe and an ax. Responding officers discovered the unoccupied car inside which they "observed a large sword laying on the driver's seat," Garcia said. Officers entered the power plant and found the man clutching a 6-foot pipe and an ax. Although they immediately ordered him to drop the weapons, the man chose to walk away. The officers, whose body-worn cameras recorded the entire encounter, followed the still unidentified man at a safe distance, all the while giving commands to surrender. He, in response, “yelled ‘Shoot me!’ and ‘Kill me!’ several times during the incident,” according to Garcia. The man then turned around and began walking toward the officers, who tried to engage him in a conversation and continued to order him to drop the pipe and ax. He ignored the officers' 23 commands, Garcia said. Police on Tuesday night were investigating an officer-involved shooting near the Metcalf Energy Center in South San Jose, sources told NBC Bay Area. Bob Redell reports. When he was within 5 or 6 feet of the officers, one of the policemen shot the suspect. However, that didn't stop him from advancing toward the officers. That's when the second officer fired his weapon. The man was hit at least once and died at the scene, Garcia said. The suspect was also found in possession of another ax, six throwing knives and pepper spray. He was not associated with Metcalf. Police will not reveal the man's name until his next of kin have been notified. The man had a history of "numerous prior narcotics offenses, weapons violations and resisting arrest," Garcia said. He had also been placed on a 72-hour psychiatric hold in September 2017. The suspect was "an unstable individual," but was not on probation or parole, Garcia noted. There were three active warrants out for his arrest for traffic violations, resisting arrest and a slew of drug offenses in Santa Clara County. The officers involved in Tuesday's shooting have been placed on routine administrative leave. The incident is being co-investigated by the San Jose Police Department and Santa Clara County District Attorney's Office. It is being monitored by the police department's Internal Affairs unit, the City Attorney's Office and the Office of the Independent Police Auditor. 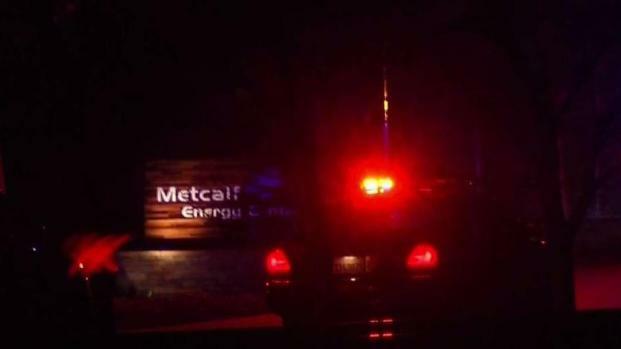 Police were investigating an officer-involved shooting near the Metcalf Energy Center in South San Jose late Tuesday night, sources tell NBC Bay Area. Roz Plater reports. Tuesday's incident marks the first officer-involved shooting of 2018 in the South Bay city. "It’s a sad case … there’s no winner here," Garcia said. "I know my officers are shaken by it. I have no doubt that this individual’s family will be shaken by it." The man was likely experiencing a “mental crisis” and armed himself, putting the officers in a position where they "had to deal with it," Garcia said. "It's an unfair situation really for both parties, quite frankly." The Metcalf Energy Center is owned and operated by Calpine and produces power for the San Jose area. 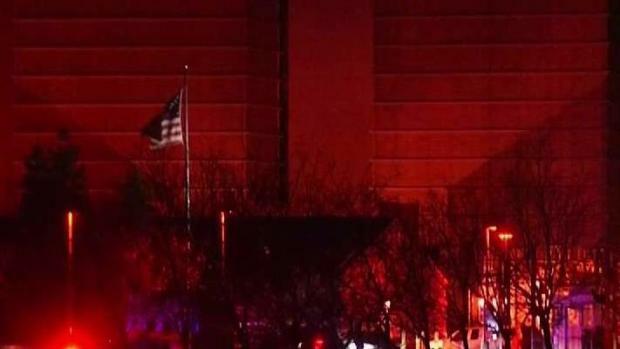 A plant spokesman confirmed late Tuesday that the shooting involved an intruder and local law enforcement at the facility, but he declined to elaborate. "Our employees are safe and we are cooperating with authorities," Calpine spokesman Brett Kerr said in a statement. In 2013, someone with a rifle fired shots at the nearby Metcalf substation run by PG&E and damaged some equipment. Santa Clara County Sheriff Laurie Smith categorized that as an act of sabotage with the intent of shutting down the system. The suspect was never arrested. NBC Bay Area's Bob Redell and Kristofer Noceda contributed to this report.